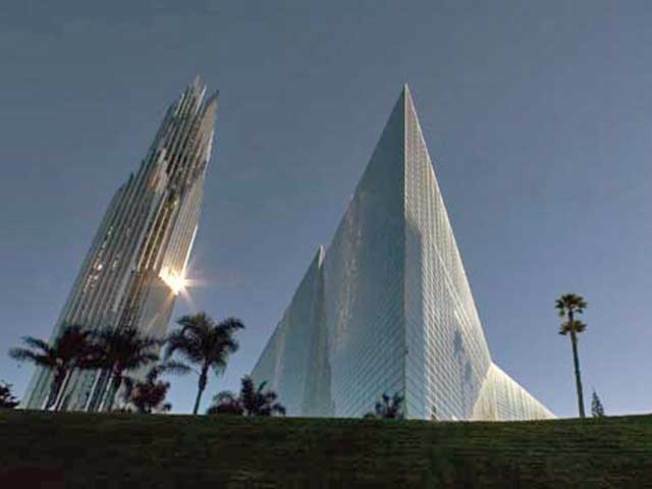 The Crystal Cathedral megachurch in California announced it will submit a plan to bankruptcy court next week that would get it out of Chapter 11 bankruptcy and erase its $35 million debt. Spokesman John Charles said the church could then repay vendors who are owed $7.5 million. The plan described Thursday called for the sale of the 40-acre church property in Garden Grove to a real estate investment group. The group would develop some of the land but allow the church to lease back its core campus for at least 15 years, with the option of buying it back at a fixed price after four years. Charles says church services and the weekly "Hour of Power" TV broadcast will continue uninterrupted. He declined to provide the investor's name or purchase price.